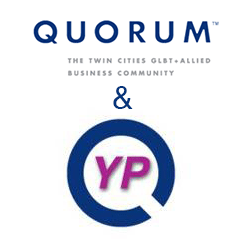 Join us for the Quorum and Young Professionals Network Night co-hosted by Lavender Magazine at the Moxy Minneapolis Uptown Hotel! Please join us for a great happy hour and amazing networking at this modern boutique hotel in the heart of Uptown. This monthly networking event is a combined event for Quorum members and Quorum Young Professionals. This is a fun, fab, casual event for all LGBTQ+ and Allied folks who are interested in networking, starting or growing their careers. The emphasis is on creating an energetic and vibrant atmosphere where valuable contacts can be made, ideas and opportunities can be shared, and community can be formed. Come build your networks, find opportunities to learn and grow, and help strengthen our presence in the greater business community. Don't forget your business cards!